Home/TV and Home Entertainment Installation/Condo Wall Studs types – Can I hang a tv on my razor this condo walls? We develop state of the art TV mounts for today’s homes. Unique mounts patented and designed out of Toronto, Canada. We have the best industry-wide rating for TV mounts. ★Suitable for Most 42”-75” TVs with Mounting Holes(VESA 200x200mm to 400x400mm). ★Able to Hold TV’s Weighing up to 132lbs. ★Tilt +/- 15 degree, 3″ Low Profile Super Slim Wall Mount Design. Whether you choose wall or TV mounting, you will have everything you need to complete the job. The anchor included with your bracket is for concrete wall installation only and should not be used if mounting to drywall. Please refer to the instructions for clarity. A full, detailed instruction manual is included with your purchase and to make it even easier we have placed all hardware in labelled bags, so you can identify each piece effortlessly. 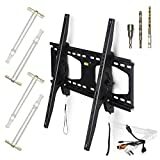 Tilt TV WALL MOUNT KIT – It fits most flat TV’s between 42″ to 75″ weighing up to 132lbs with VESA from 200 x 200mm to 400 x 400mm Screws for SAMSUNG, LG, SONY and all major brands are included. SPACE SAVING – Tilt +/- 15 degree, 3” low profile with stylish appearance, easy lock/release straps design. SUITABLE FOR ANY WALL – Yes, that’s right. Unlike other TV mounts on the market, our steel mount is designed for any wall including drywall with metal studs, wood stud wall, concrete walls and brick walls too. We’ve just made life so much easier. 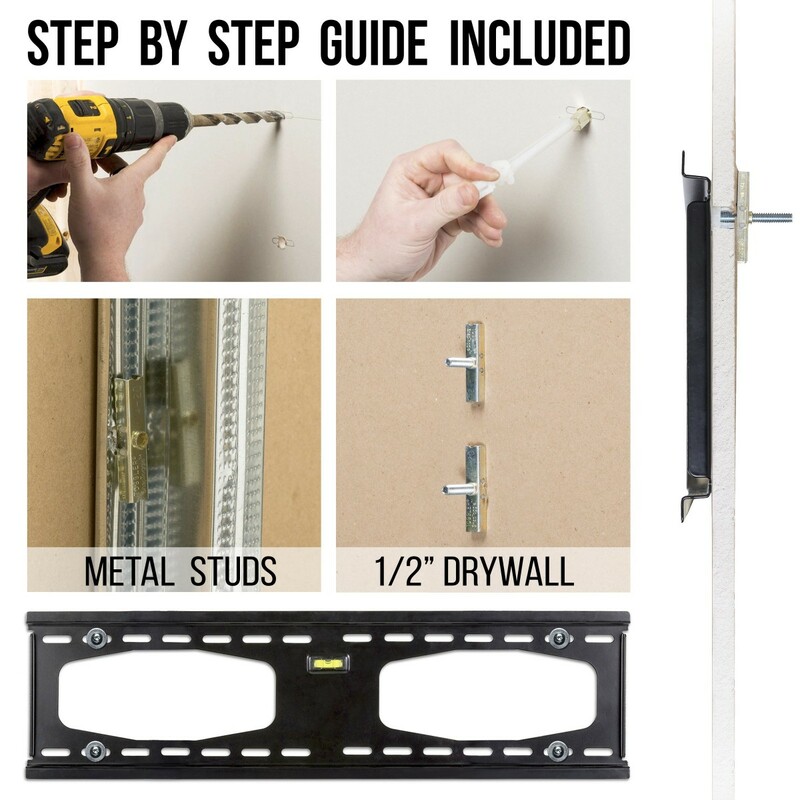 DESIGNED FOR METAL STUD WALLS – each of our TV wall mounting units come with a metal stud mounting kit which includes ½’ drill bits to drill through metal studs, heavy duty toggle bolts and toggle bolts screws, so you don’t have to make any late night runs to the hardware store. This kits alone is worth over $30. Sunder	2019-04-14T11:24:08+00:00	TV and Home Entertainment Installation|Comments Off on Condo Wall Studs types – Can I hang a tv on my razor this condo walls?